The new agreement will help keep Roadsters in Tesla showrooms until December 2011. 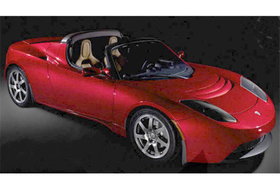 SAN FRANCISCO -- Electric carmaker Tesla Motors Inc. has extended its agreement with British automaker Lotus to help bridge a gap in the production and sales of its only car, the Roadster. Tesla is facing a year or more of a shutdown of production of the sports car after 2011, due to tooling changes at an unnamed supplier, Reuters reported. Lotus provides the Silicon Valley-based automaker with "gliders," or partially assembled vehicles. The new agreement will help keep Roadsters in Tesla showrooms until December 2011. An earlier deal was scheduled to expire in March 2011.